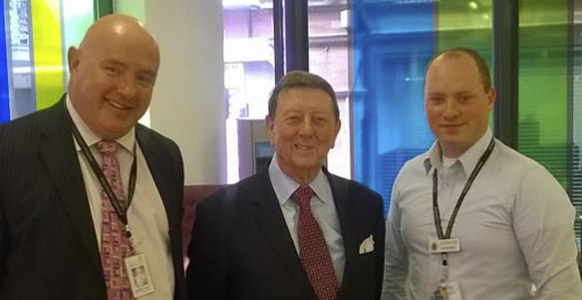 Volition Community » Volunteer Bee Coordinator joins the Manchester team! Canon Adrian Rhodes has joined the Volition team as our Volunteer Bee Coordinator. 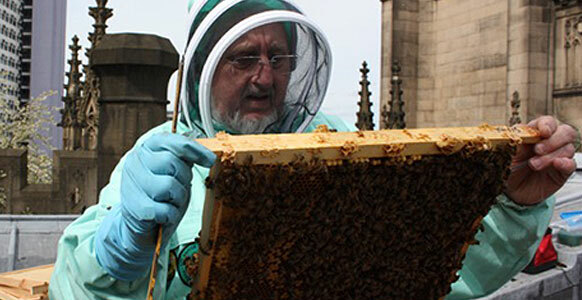 Known as the “Canon Apiarist” at Manchester Cathedral Adrian has been a beekeeper since 2011, keeping bees at home, on the roof of Manchester Cathedral and is mentor to our volunteers who look after the Beehives at Manchester Cathedral and the Printworks. He is a Trustee of Manchester & District Beekeeping Association – and teaches practical beekeeping at their apiary in Heaton Park. He regularly uses liturgical incense in his smoker – not for the bees, but to keep himself cool and calm! 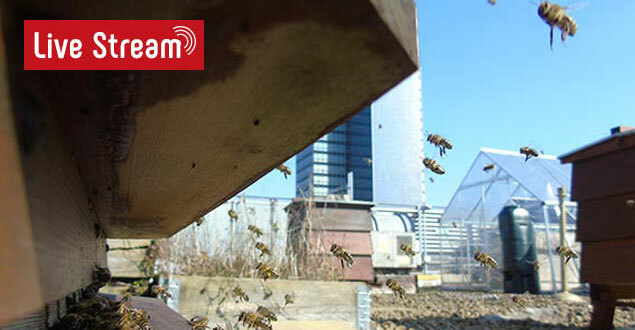 Canon Rhodes says “Beekeeping is such a fascinating and varied craft; never a dull moment – and always something more to learn from these incredible creatures. 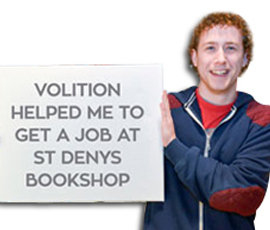 I have been very encouraged on how this part of the Volition Programme has helped many long-term unemployed find work and/or move into self-employment”.